Soul Asylum Biography, Discography, Music News on 100 XR - The Net's #1 Rock Station!!! Formed in Minneapolis, Minnesota USA, in the summer of 1981 by high school friends Dan Murphy on guitar, Karl Mueller on bass and Dave Pirner on drums, Soul Asylum, named Loud Fast Rules up until 1983, quickly became frontrunners of American college-Rock. Pirner eventually switched to rhythm guitar + lead vocals and drummer Pat Morley joined before settling on the final moniker. 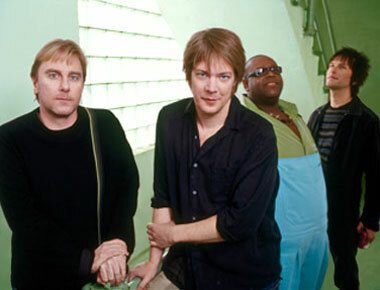 Landing their first record deal with Twin/Tone in 1984, Soul Asylum released its debut album, "Say What You Will...". in August 1984. Morley's position behind the drum stool was relinquished to Grant Young, who played on the band's second LP, "Made To Be Broken", which was released in early 1986. In November of the same year Soul Asylum put out another album, "While You Were Out". The band then switched to A&M Records, releasing "Hang Time" in April 1988. But it was two years later, when in September 1990 Soul Asylum issued "And The Horse They Rode In On", that they managed to score a couple of radio hits, "Spinnin'" peaked at #15 on the Billboard's Modern Rock Tracks and "Easy Street" reached #26 on the same chart. Although they also enjoyed some success as a live band, Soul Asylum suffered from low album sales and considered disbanding. In 1992, they signed with Columbia Records to produce "Grave Dancers Union", a record that would come to transform them from underground college rockers to international superstars. The first single off the album, "Somebody To Shove" crested at the #1 spot on The Modern Rock chart and entered the top 10 of the Album Rock airplay listing. The follow-up single, "Black Gold", hit #4 on The Mainstream Rock chart and peaked at #6 on The Modern Rock Tracks. It was the album's third track that led them to their major breakthrough, "Runaway Train" peaked at #5 on The Billboard Hot 100, at #3 on The Mainstream Rock Tracks and raised album sales to double-platinum level after reaching #11 on The Billboard 200. The final single, "Without A Trace", became another Mainstream Rock top 10 hit for the group. "Grave Dancers Union" was also a sizeable hit in U.K. where it ascended into the top 30 of the Albums Sales chart and the key track, "Runaway Train", hit the top 10 on the Singles chart. In addition "Runaway Train" won Soul Asylum the Grammy Award for Best Rock Song in early 1994. 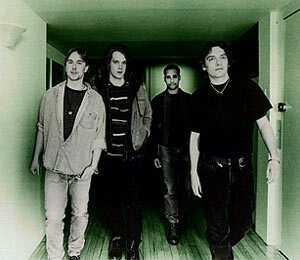 During 1993 the quartet recorded "Summer Of Drugs", a Modern Rock top 20 hit, that appeared on the tribute/benefit project called "Sweet Relief: A Benefit For Victoria Williams" and even contributed their cover of Marvin Gaye's "Sexual Healing" to the AIDS charity compilation, "No Alternative", for the Red Hot Organization, the song quickly bulleted into the top 10 of The Modern Rock chart. One year later, "Can't Even Tell", a song featured on the soundtrack of the comedy motion picture "Clerks", took them back into the top 20 of The Modern Rock chart. In June 1995, Soul Asylum followed up the success of "Grave Dancers Union" with "Let Your Dim Light Shine", which marked the debut of new drummer Sterling Campbell, the band's seventh effort climbed to #6 on The Billboard 200 and went platinum. It contained the worldwide hit "Misery" which soared to #1 on The Modern Rock Tracks, fell one position short of the same place on the Active Rock side and peaked at #20 on The Billboard Hot 100. Additionally, it produced "Just Like Anyone", that stopped a bit below the top 10 of The Mainstream Rock chart and "Promises Broken", a further Active Rock top 30 hit. Three years later the Minnesota rockers resurfaced with "Candy From A Stranger", which made it only to the #121 niche on The Billboard Top 200 Albums chart and only one single, "I Will Still Be Laughing", got some exposure on Mainstream and Modern Rock stations as it reached #23 and #24, respectively, on the Billboard charts. The band members then took a break from recording and didn't release a new studio album for the better part of seven years. They reunited in 2004 to record their ninth full-length album. Shortly thereafter, Karl Mueller was diagnosed with throat cancer. Up until this point, Soul Asylum had always included Murphy, Mueller and Pirner despite several line-up changes. This changed on June 17, 2005, when Karl Mueller passed away after finishing his work on the new album. "The Silver Lining" was released in July 2006 and dedicated to Karl Mueller's life and memory. The disc made a brief chart appearance on The Billboard 200 and spawned a minor hit with "Stand Up And Be Strong". Around this time, along with new drummer Michael Bland, Murphy and Pirner decided to employ Tommy Stinson as their new bass player. In July 2012 Soul Asylum released "Delayed Reaction" via 429 Records; this album, which contained the single "Gravity", barely got a toehold on The Billboard 200 at #160.